Pay only P 1,332 a Month for 6 months. Or pay only P 712 a Month for 12 months. 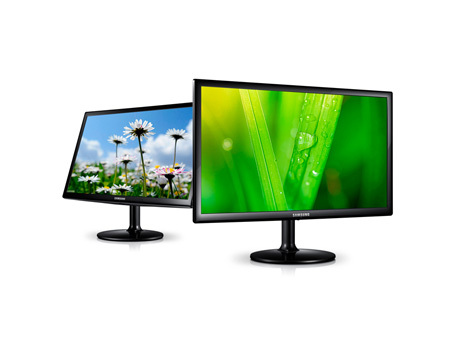 The Samsung LED Monitor Series 3 does all the work you need in just the right manner. Functional and with a stylish design, this monitor is all you need. Reliable, functional and reasonable. Choose a monitor that fulfils all your functional needs and with picture quality that you will love. The Samsung LED Monitor Series 3 sports a stylish design with its black high glossy looks and is guaranteed to complement any environment it�s in. Experience real colour with mega DCR and get better picture quality with magic upscale. Eco Saving makes saving energy easy. 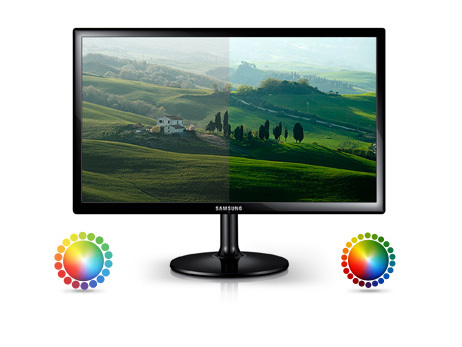 It adjusts the brightness of your Samsung LED Monitor based on how much energy you want to save. 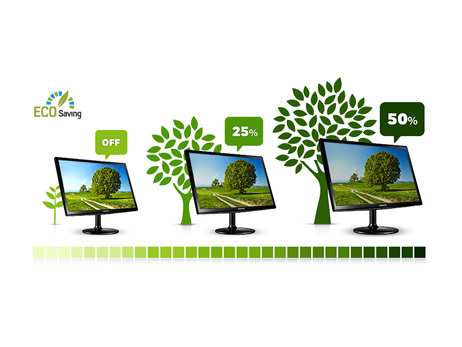 And with the choice of three energy saving modes (50%, 25% and Power Saving off), you can really tailor your monitor use to meet your own personal needs. Samsung�s commitment to saving energy is designed to help both you and the environment, and with up to 50% saving on consumption, you can really make a positive impact on your eco footprint. Take the effort out of saving energy and take control with Eco Saving. 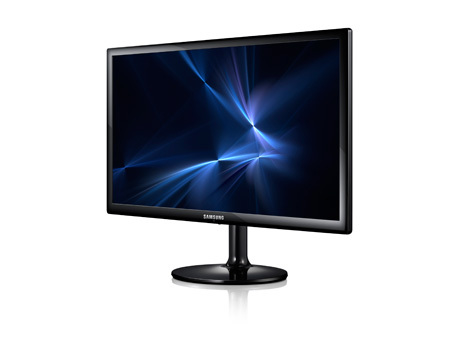 The Samsung LED Monitor Series 3 comes with a stylish design that includes a high glossy look. With its no-frills minimal stylish, it sticks to the basics while being sophisticated. Its unique neck structure saves space and also lends it a structural beauty. You can get all your work done with this sleek monitor. Mega DCR delivers new levels of color and picture quality to your viewing experience with images that are real-to-life. Mega DCR�s contrast ratio shows blacks at their absolute darkest and pristine whites and other colors at their brightest. You will notice a boost in the contrast level and clearer picture clarity. It is like an explosion of colors that makes other screens seem dull in comparison. Enjoy your content with the professionalism it deserves. 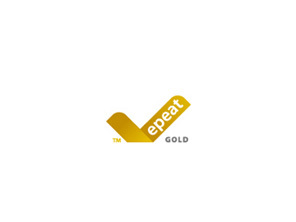 Upgrade to the greener Samsung LED Business Monitor, which comes with the new Green Certificate from EPEAT. With reduced �soft power� consumption, this eco-friendly monitor is perfect for business. 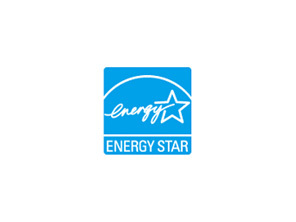 Minimize costs with Samsung�s LED Business Monitor, which has been accredited with the Energy Star rating. With less power consumption, this monitor is good for business and the environment. 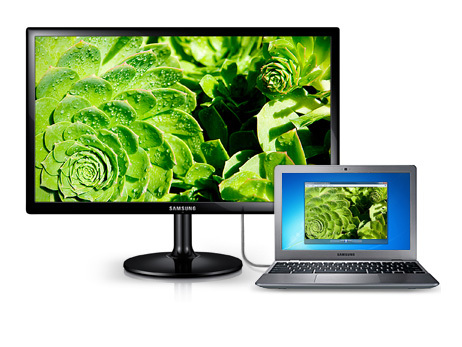 Upgrade to the Samsung monitor with 100% compatibility with Windows 8. 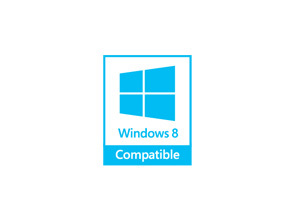 This Samsung monitor has received a certification logo from Windows 8 that supports the Metro UI feature. 19.98" x 16.05" x 8.26"
19.98" x 12.28" x 3.93"
22.48" x 14.68" x 5.78"